The Leadership Societies honor donors investing $1,000 or more annually in our community through United Way of Ventura County. United Way of Ventura County established the Leadership Societies to recognize individuals whose personal giving exemplifies outstanding commitment to improving the quality of life in our community. 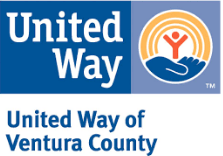 For additional information on the United Way of Ventura County Leadership Societies, please contact Vicki Raven, Director of Development & Planned Giving, at vicki.raven@vcunitedway.org or at (805) 485-6288, ext. 229.